I popped into Superdrug a while ago wanting to pick up the Montagne Jeunesse face masks, so I could use them before Eid. Unfortunately I didn't manage to find them (not sure if Superdrug have stopped selling them, or my local store was out of stock). In the end I bought 4 face masks from Superdrug's own range, as they were on offer 4 for 3. They are priced at 99p, which is the same as the Montagne Jeunesse ones and they have a large variety available, so you're likely to find one that suits your skin type. 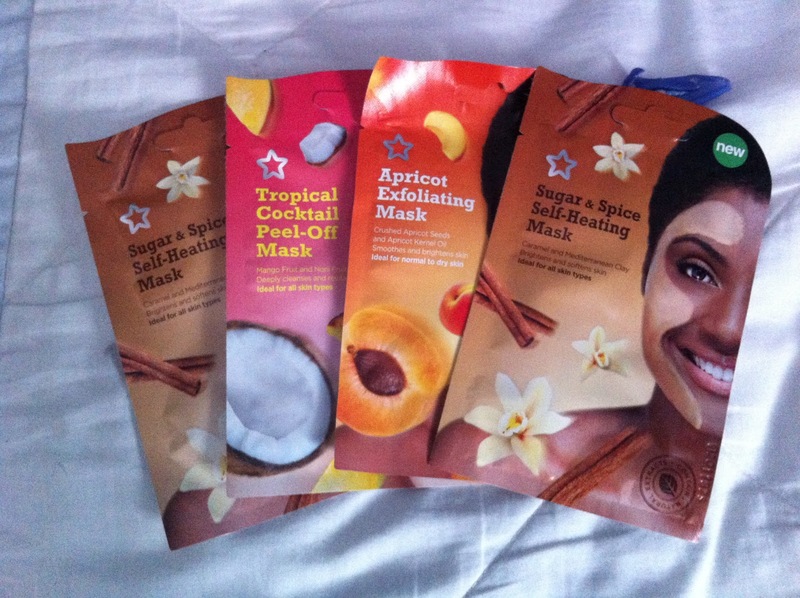 Have you tried any of the Superdrug face masks? What did you think of them? I've recently bought the superdrugs face masks and I tried the Fruit sorbet peel off mask, the smell is so nice it reminds me of a berry juice...overall these are great. Where can I find these products? please! Do you guys know Any other websites ? Because they don't do US delivery. Ah no sorry. These are Superdrug own brand so they are only sold in their stores. I tried the Superdrug store. 100 GFC Follower Giveaway Winner! Chocoholic Hijabi by asmaa17 is licensed under a Creative Commons Attribution-NonCommercial-NoDerivs 3.0 Unported License.